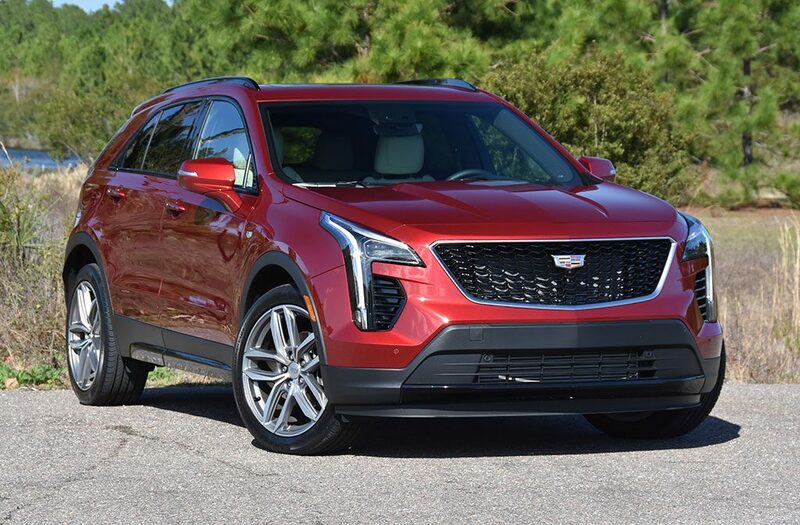 In an effort to appease the thirst of American households, Cadillac has gone deeper into the fray of offering more crossover vehicles, this time, a smaller iteration of their top-selling XT5, the all-new XT4. 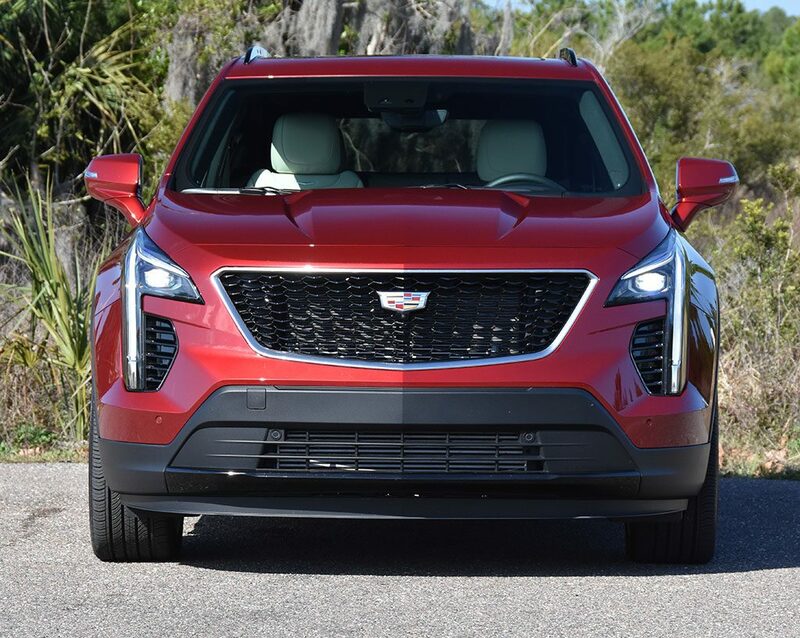 The new Cadillac XT4 is a surprising entry into the compact luxury segment for crossovers. 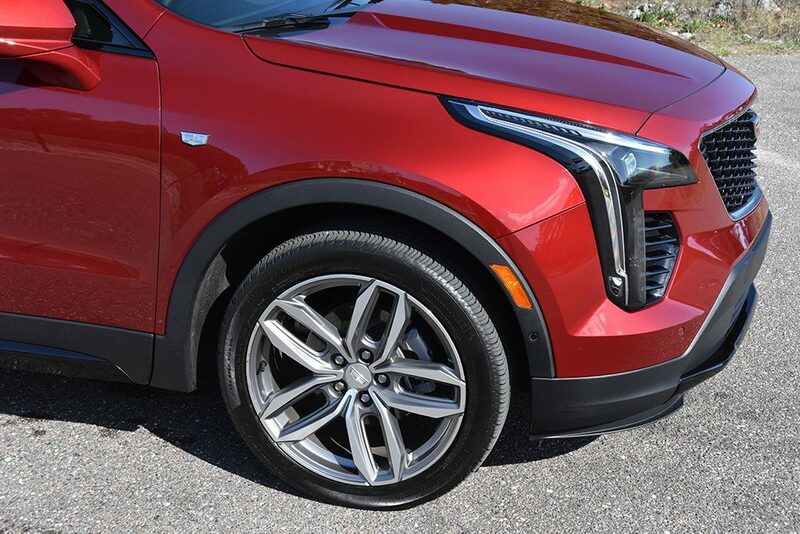 Such a segment is deserving of someone to take charge and after a week with the new XT4 I believe Cadillac has managed to lead the pack for the growing segment that it finds itself. 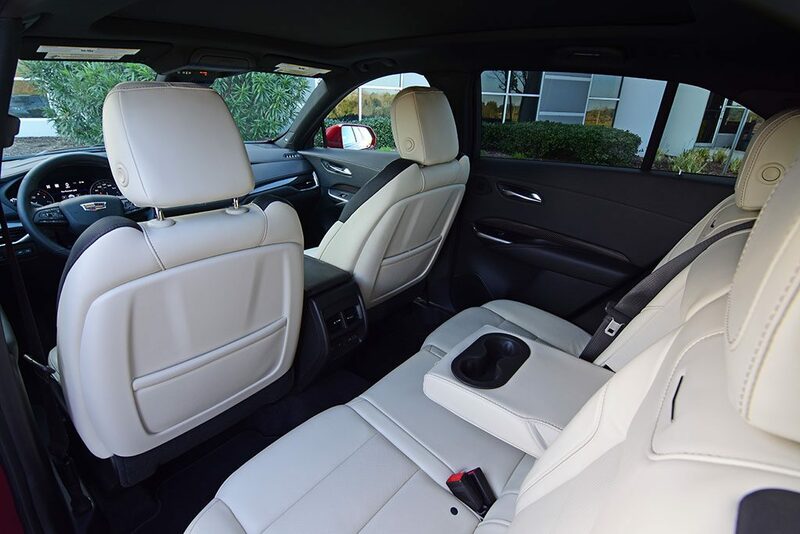 Much of what the XT4 is about is surprising in many ways from its attractive exterior to the nicely appointed interior fitting for a luxury vehicle. 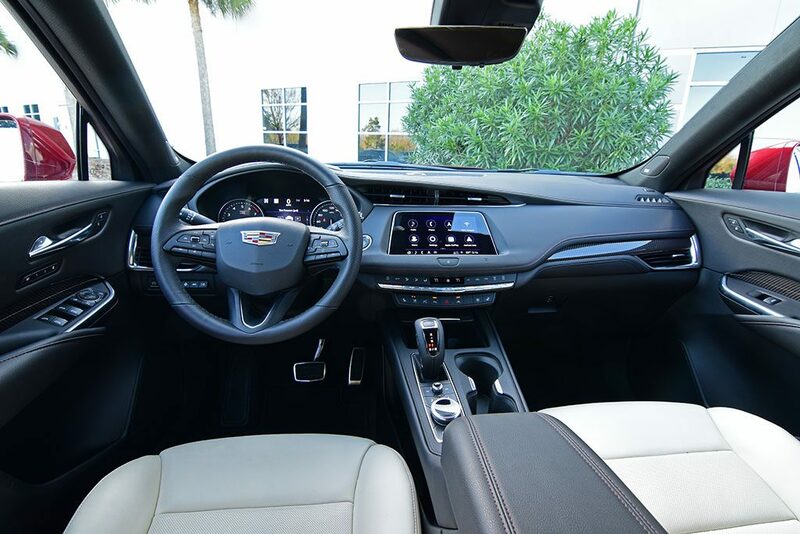 Cadillac pulled out many surprising and expected stops to capture an audience that is slowly moving from sedans into crossover vehicles for both mainstream and luxury seekers. 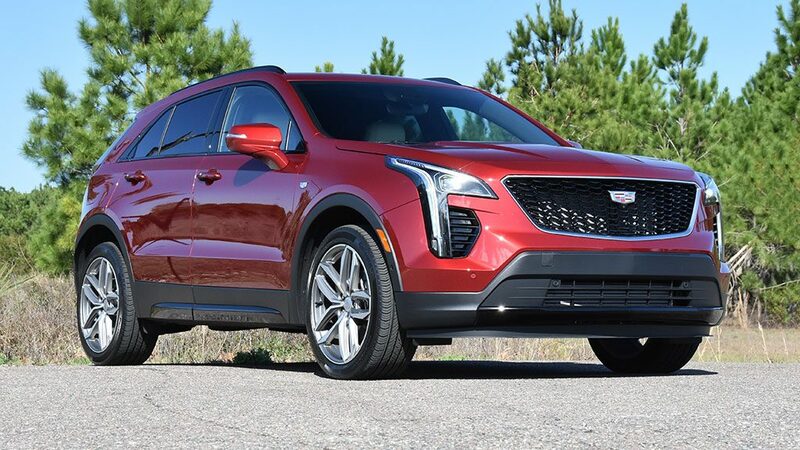 The XT4 falls in line with what is expected in the entry level of luxury but offers up a few goodies to fortify Cadillacs luxury proposition that, I hate to say, has been a bit lost in translation in the past years. 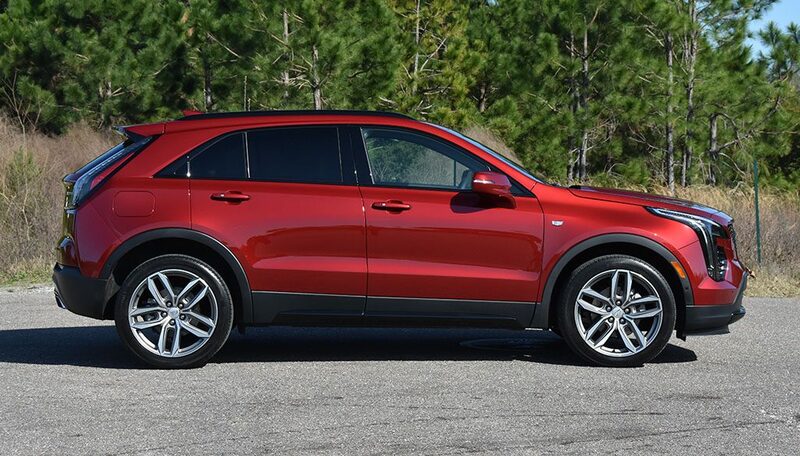 However, the XT4 adorned in its top-level AWD Sport trim is quite the looker and a respectable player in the affordable luxury spectrum yet does not make major compromises in the scope if its smallish size. 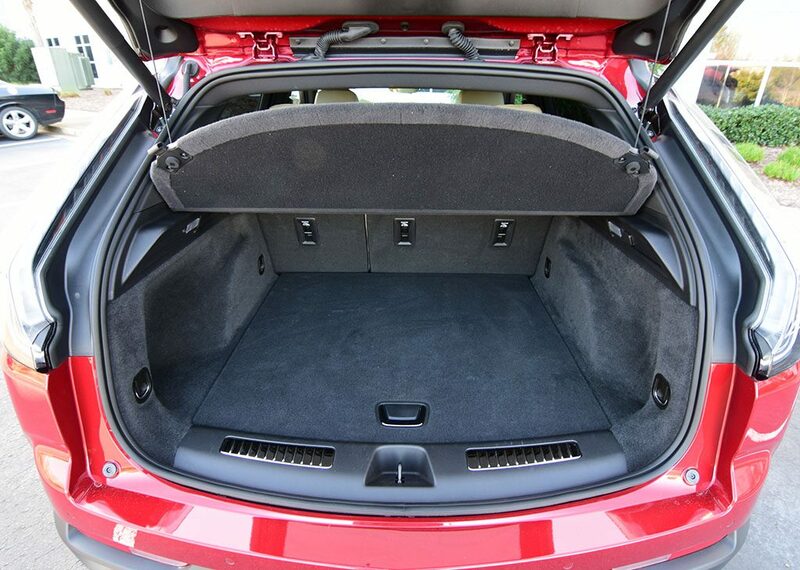 The size of the XT4 is somewhat deceptive, which is a good thing considering keeps up with the pack for usable cargo space and is quite comfortable up front and out back for someone like me over 6-feet tall. 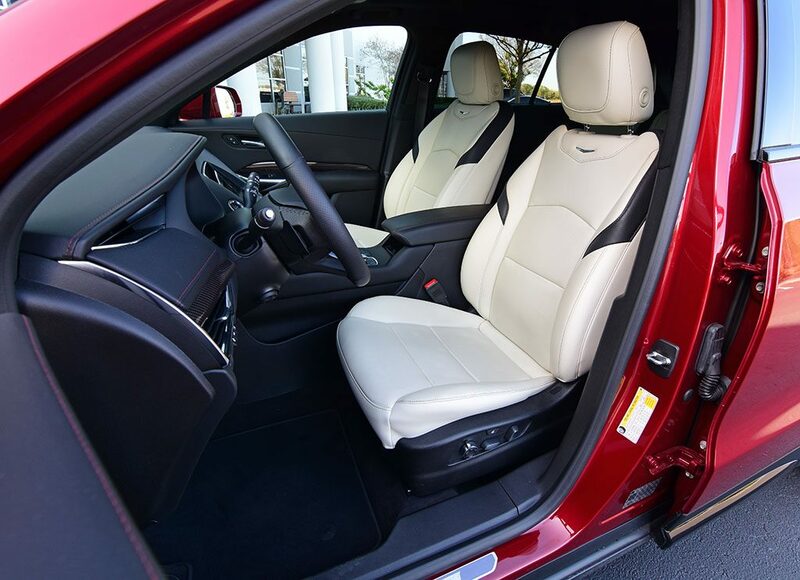 The front seats offer heating, cooling, and a massage feature in my loaded up XT4 AWD Sport test vehicle. 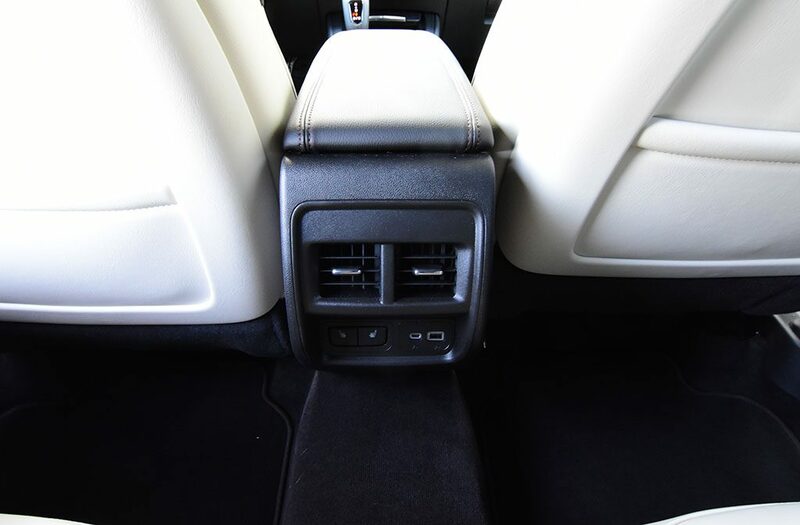 The heated back seats, offering a split 60/40 seatback fold, are usable for adults and prove to be comfortable. 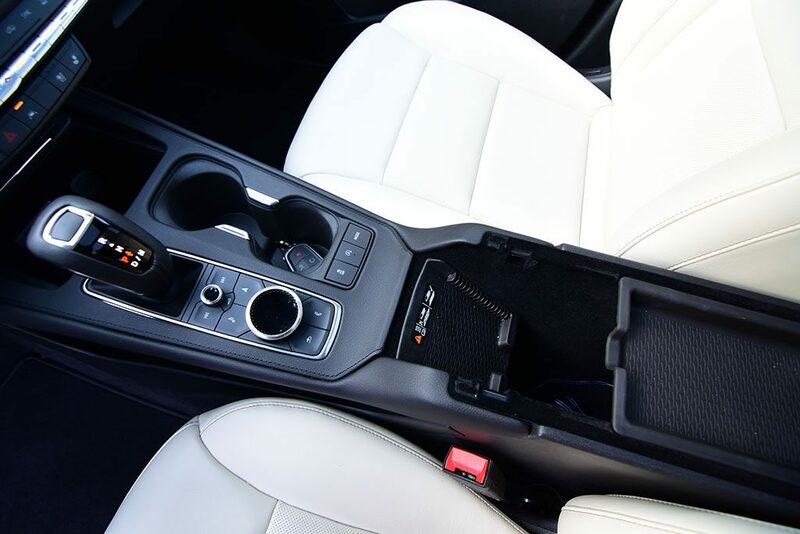 Though, the comfort and room in the back is mostly dependent on how far back the front passengers adjust their seats. 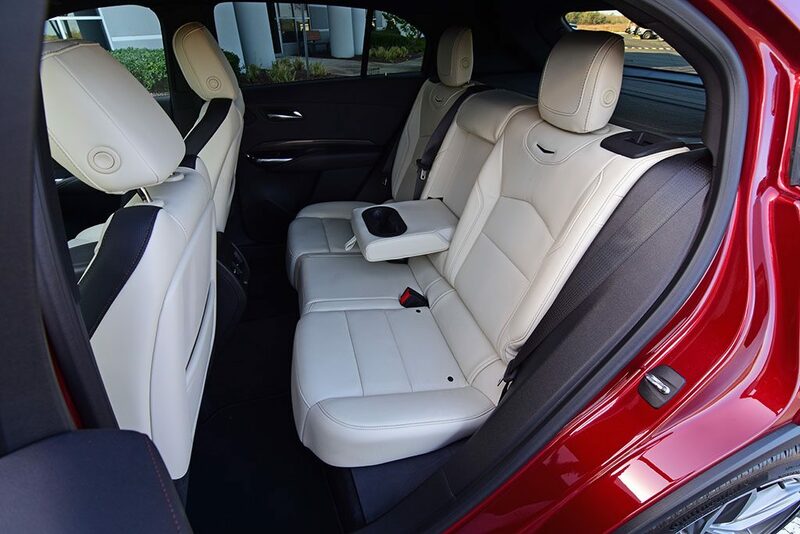 Shockingly, the back seats offer just enough room for most adults and are comfy on long hauls. Folding the seat backs provide a decent cargo space that falls in the middle of the row for space when compared to the competition. 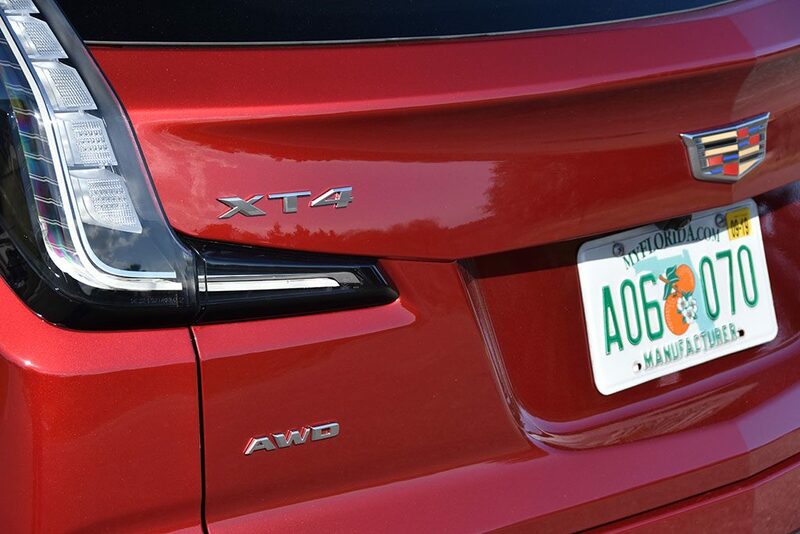 Powered by a 2.0-liter turbocharged 4-cylinder engine puts the XT4 right in line to run with competitors and do well with fuel economy to get up to 30 mpg on the highway for the FWD XT4 Sport and 29 mpg for my AWD Sport test vehicle. In town expect to get about 22 mpg. The 237 horsepower and 258 lb-ft of torque go the distance to power all four wheels through a 9-speed automatic transmission. 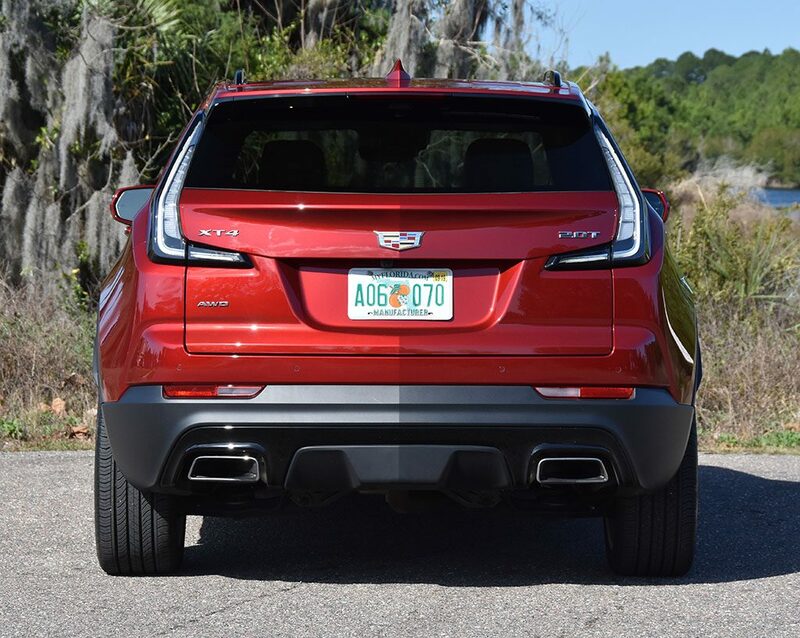 Performance of the XT4 was mostly adequate but came with a major nuance that downplayed the luxurious aspects of the XT4 being the sometimes-annoying sound that the turbo-4-cylinder engine produced. 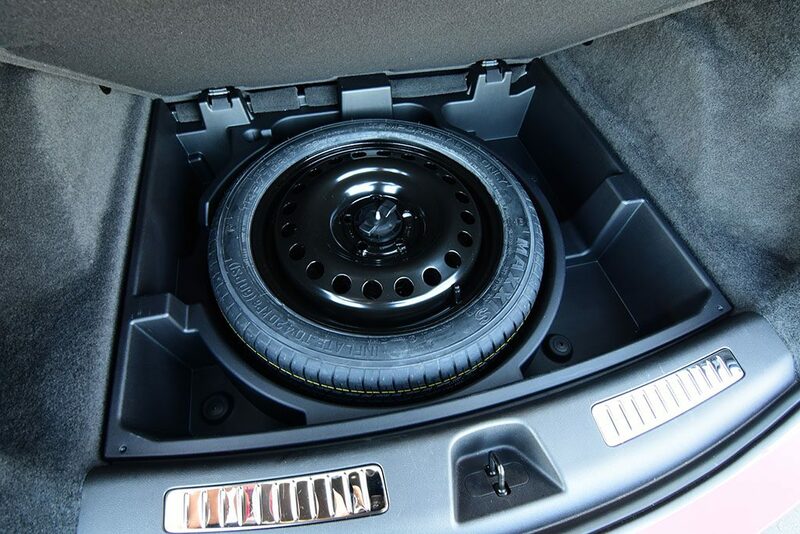 The sound from the engine often sounded like repetitive clatters and undeserving of being under the hood of a “luxury” vehicle. Often, I found the engine sounds mimicking that of a poorly tuned diesel engine at the end of its lifecycle. Yes, the sounds is that bad and took away from what was otherwise a decent ride quality and nicely finished interior with the proper sound insulation and insulated front glass. Other than the shameful sound from the XT4’s turbocharged engine, the new little Caddy performs well and inspires confidence for the driver. The adaptive suspension dampers are perfectly matched to deal with the stout chassis of the XT4 feeling quite rigged but not to the point of being overly harsh. The large 20-inch wheels and somewhat low-profile tires are also nicely matched for stunning looks but to avoid adding harshness to the ride quality. 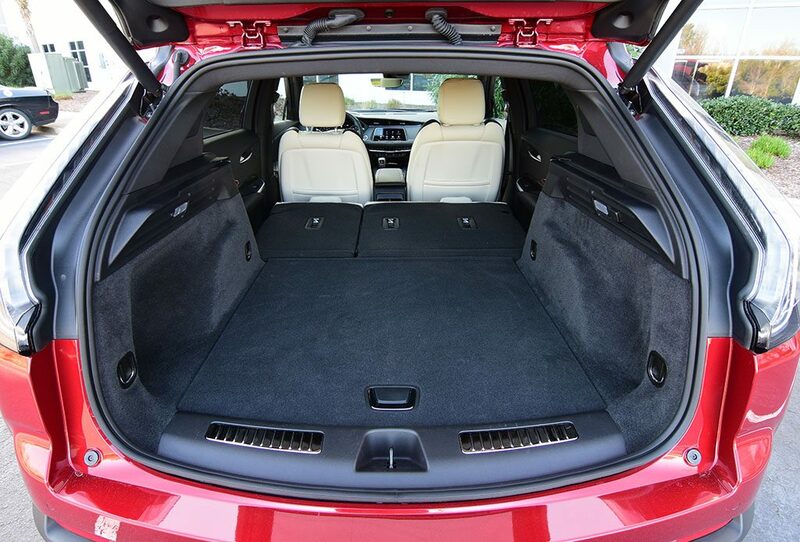 When it comes to features the XT4 has a long list of available amenities and luxury options. 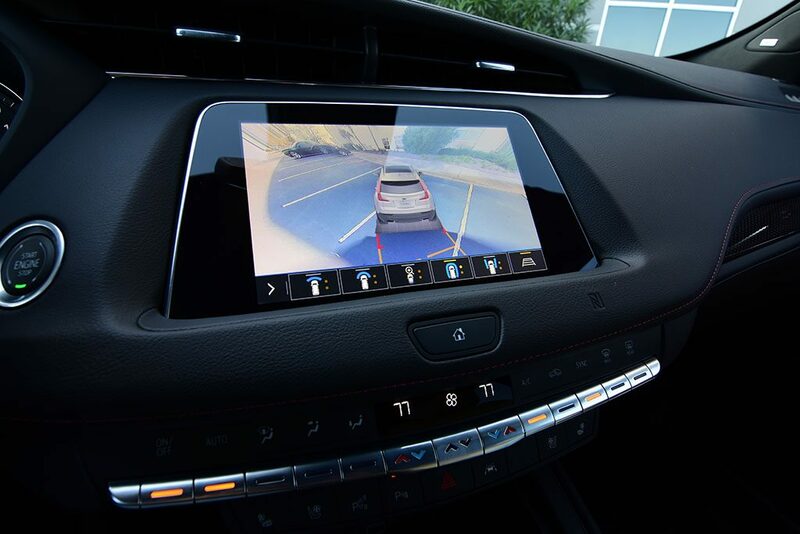 However, most of those features are only offered as optional equipment instead of being standard from the base and mid-level trims. 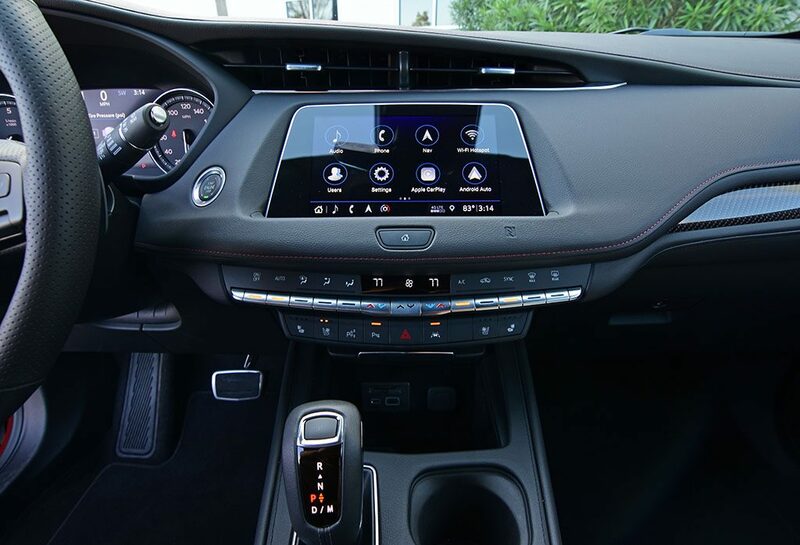 Some of the only standard highlights that I consider to be mentionable is the smartphone integrations of Android Auto and Apple CarPlay. 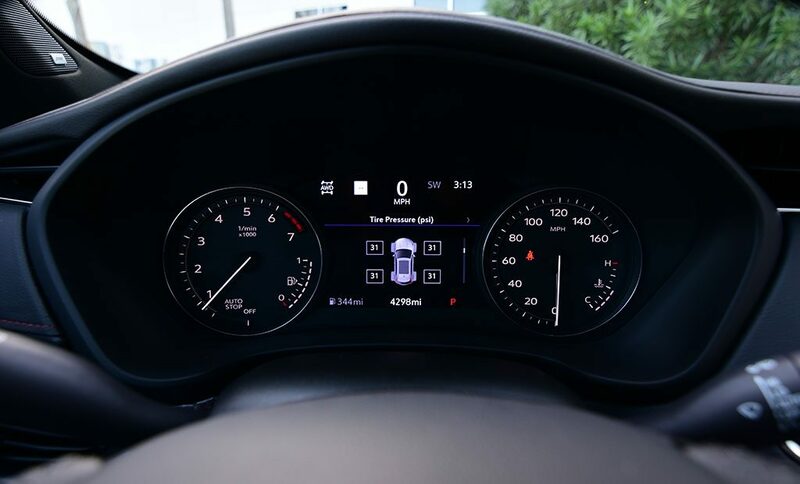 Otherwise, the XT4 is void of many desirable features that you expect in a luxury vehicle, even if it is the smallest crossover offering from the brand. 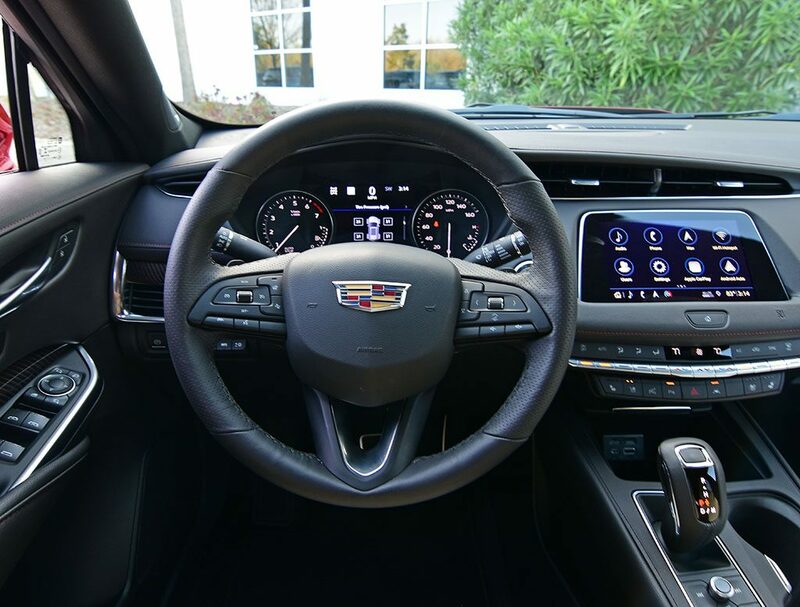 The latest infotainment touch-screen system proves to be user-friendly and responsive with a set of physical buttons to control many primary functions, overall an improvement over previous iterations of CUE (Cadillac User Experience). 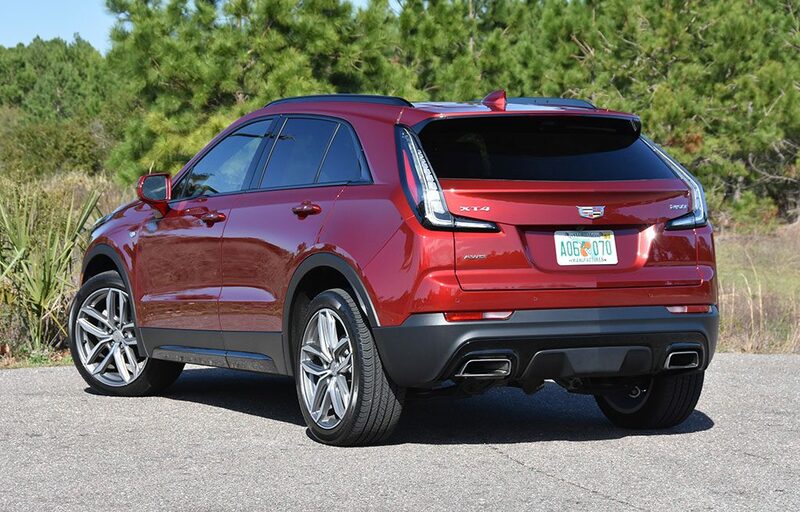 In a world where crossover utility vehicles are garnering road dominance in America, Cadillac has played their cards well with the new XT4. Things can only get better from here out and maybe they will address the sound issue of the engine, which is the only powerplant for the new Caddy. Moreover, the pricing of the new XT4 at the top level AWD Sport trim is a bit audacious at an as-tested price of $57,735. Still, the XT4 as the base level can be had for around $35,000 but at the cost of being void of most luxury appointments until you add them and risk raising the price considerably.